The item in this review was provided by Myles Apparel at a discount for review. When I saw the Myles Elements Jacket was made from Polartec NeoShell, I knew I had to give it a try. While I wasn’t looking for a new jacket, I couldn’t pass this one up and ended up very impressed. The Polartec NeoShell membrane makes this jacket one of the most breathable (and the stretchiest) waterproof jackets I have ever worn. The magic of NeoShell is that it allows air exchange while still blocking 99.9% of the wind. This helps moisture and heat move from your body to the surrounding environment without having to built up as much of a gradient (difference in temperature and humidity between the two sides of the membrane). The face fabric of the jacket has a subtle texture, giving it a less-technical matte appearance. While not noted as having a DWR coating, the fabric beads water well and resists wetting out. The texture carries through to the lining fabric, helping the jacket to never feel cold or clammy inside. 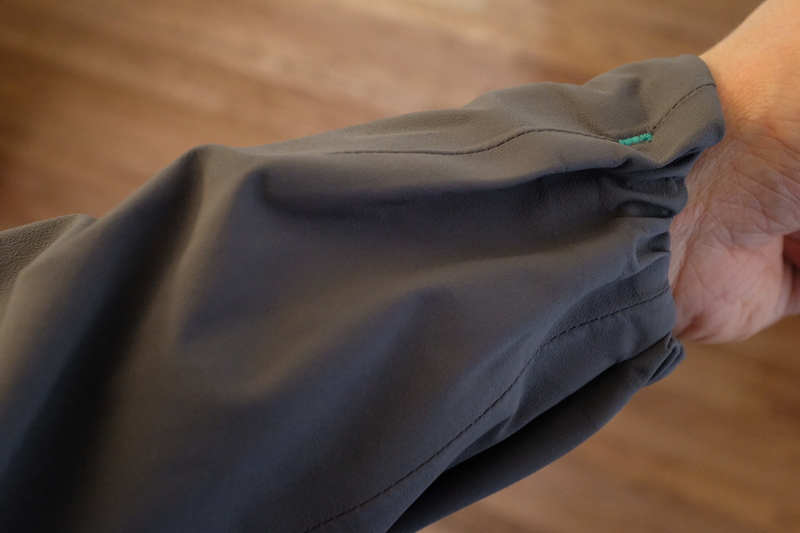 The jacket has 100% taped seams, ensuring no water sneaks its way in. The NeoShell breathability and stretch makes this jacket extremely comfortable for many activities. While wearing the jacket, I never once felt sweaty, even when walking fast with a loaded backpack while traveling. The stretch adds to the comfort, enough so that you sometimes forget you are wearing a hard shell. The zippers are YYK but are not waterproof, but for a jacket without a hood, this is probably not necessary. I found them to be easy to operate, except for getting used to the dual zipper sliders on the main zipper — it takes a little thought to get them lined up and the zipper all the way down through so it can be zipped. The chest pocket and back slash pocket were well sized for me and hold a phone or wallet comfortably. Each has a port on the inside to allow for headphones to pass through. While it is advertised that the jacket can be packed into the chest pocket, I wasn’t able to easily fit it in. It does, however, roll nicely to about the size of a burrito. As far as the back pocket goes, it’s a nice touch if you are a cyclist. In any other case, I wouldn’t keep anything valuable back there (other than maybe an emergency $20). Not only does the Elements Jacket perform extremely well, but it can be at home both during a workout or at work. The texture of the face fabric, configuration of the pockets, lack of a hood, and unique cuffs help upgrade the looks. As far as the lack of a hood, I wasn’t immediately sold as I am used to my rainwear always having a hood. After some rainy fall weather, I found that wearing a baseball cap kept the rain out of my eyes, and I didn’t have any other issues (like water running down my neck). Now if I were to be out in the rain all day, or out in heavy rain, I’d still want my jacket with a hood, but this is a tradeoff I’m willing to make for a jacket that is so breathable and looks sharp. The unique cuffs are about 1/3 elastic that sits at the back of your wrist while the rest has a nice curve — a nice style choice and something different than a straight cuff with elastic or velcro. The fit is a nice athletic cut, while allowing room for an insulation layer underneath. 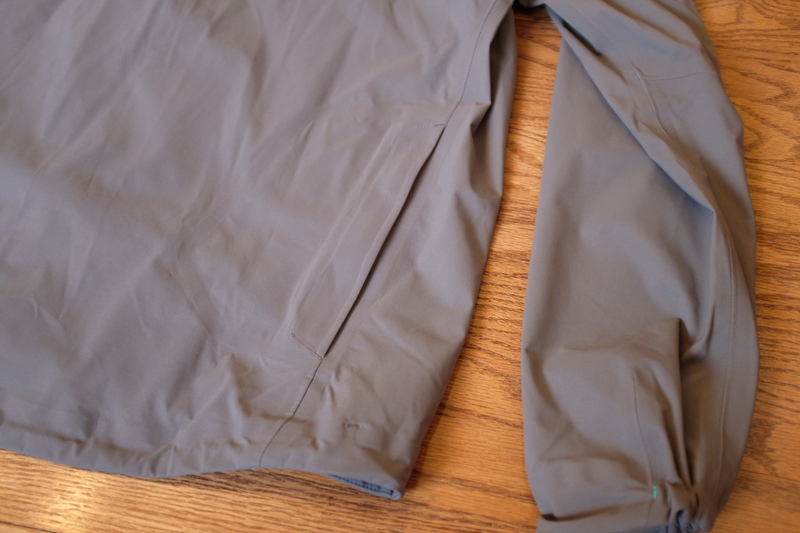 I also found the length to be great — it is a bit longer than my Outdoor Research Helium II Jacket, allowing me to wear my tall down jacket underneath without the bottom hem hanging out. 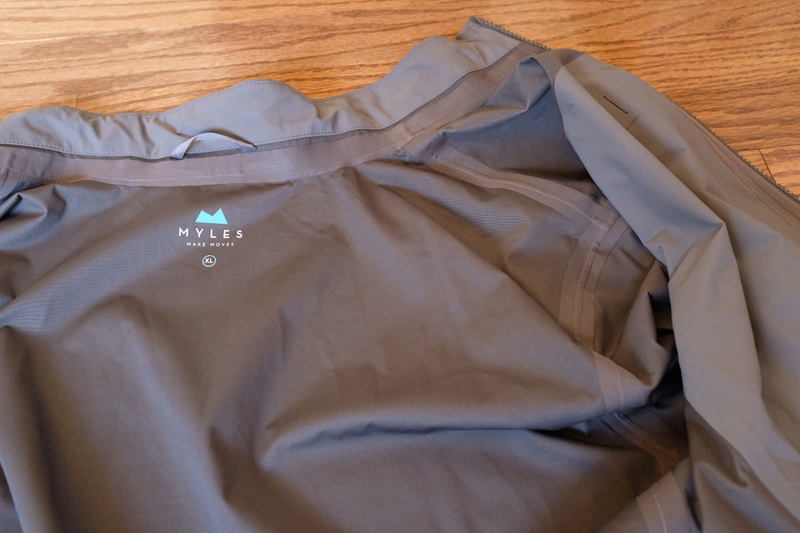 The Myles Elements Jacket has replaced my soft shell spring/fall jacket, and in many cases is the first jacket I go for. The excellent breathability, waterproofness, stretch, and style are what keep me coming back. I think Myles has a winner here, and I’m surprised Polartec NeoShell isn’t used in more jackets (the Filson Reliance is the only other one I’ve found and it’s $395 — double the Elements Jacket). 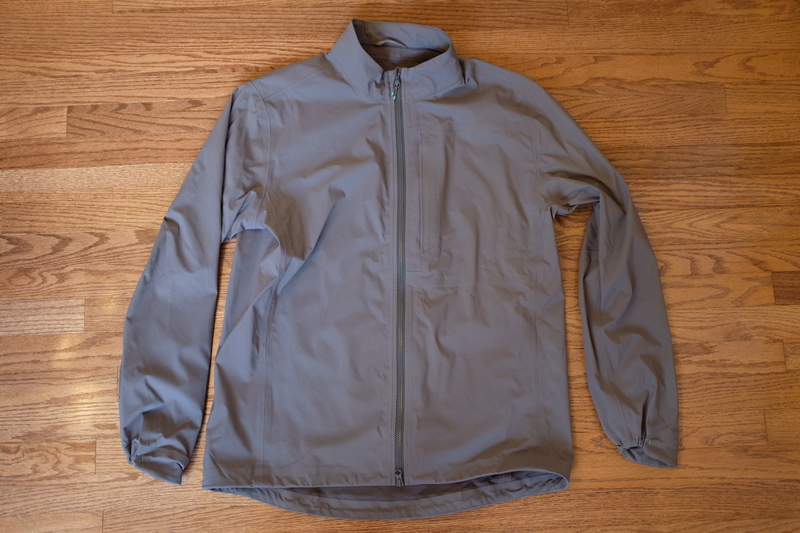 If you are looking for a light layer/rain shell/wind breaker, this jacket deserves your consideration.